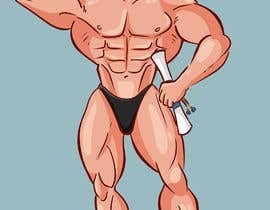 We are looking for an artist who can provide high quality cartoons of specific people, and who can draw attention to specific elements or features of those people. You will get 100 $ if your one sample drawing wins this contest. WHEN YOU ARE AWARDED THIS CONTEST, YOU WILL BE ASKED TO TAKE ON A MUCH LARGER PROJECT (AROUND 30 DRAWINGS). We will discuss the terms of this project after you are awarded this project through winning this contest with the sample you provide us (sample is explained below). 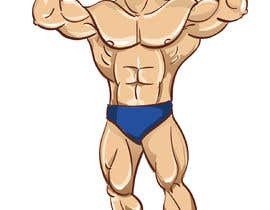 Specifically, we are looking for someone who is highly comfortable with representing the face and body of a bodybuilder; and able to emphasize certain muscles or features that make them famous. This will be used for a humorous children’s book (for 4 to 9 year old children), that kids will enjoy because of the funny drawings / cartoons and colors used; and parents will enjoy because they know the people represented in the cartoons. 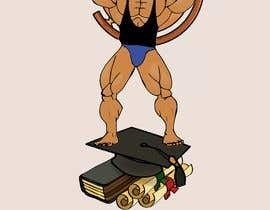 An example of a cartoon that achieves this with a famous person can be found here in this child-friendly illustration: [login to view URL] . 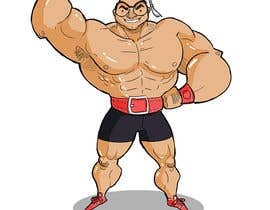 PLEASE NOTE: you are not required or encouraged to copy this style, it is only provided as an example of a cartoon that is interesting to children and adults (ie. their parents) at the same time. 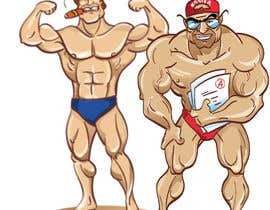 We will need a more defined drawing/cartoon than the one above so as to show the muscles and characterizing points of the bodybuilders represented. - Have your portfolio of previous work in your profile. If not in your profile, please provide us with your portfolio through a message or comment on this contest page. 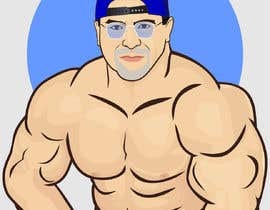 - SAMPLE: Working preferably in vector based software, show us your skill and style by providing a sample caricature, using this bodybuilder as a basis: [login to view URL] . 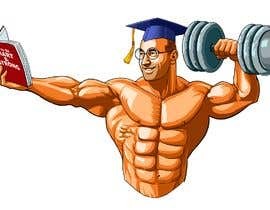 The things that this bodybuilder was famous for are: 1) his eyeglasses; and 2) he was nicknamed “The Professor” because he had multiple academic degrees. 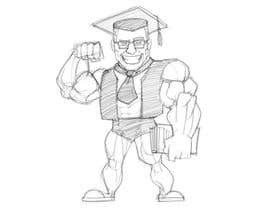 We will be favoring anyone who demonstrates skill with drawing the bodies, faces, and aspects that make each bodybuilder famous. 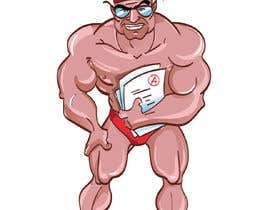 If you would like to get this job, please show us your unique style and creativity, your ability to represent the muscles of a bodybuilder, and remember that your sample has to be humorous and interesting for children and their parents at the same time. Thank you in advance for your submission. We look forward to working with you on the full project (25+ drawings) when selected. PLEASE NOTE: 1. The contest duration (14 days) is not necessarily how long the contest will last. If we see the entry of the freelancer whom we wish to work with, we will close the contest as early as necessary. 2. We will be posting feedback to each and every one of the entries we receive. You are encouraged to check out our rating and feedback to other artists' work so that you can better know what we are looking for. 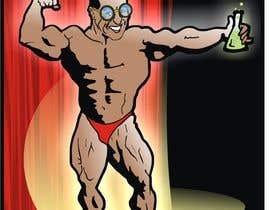 3. the $ Prize for this contest is for the best sample only. The full project (30 drawings) will have another, larger reward, which we will discuss after you are named the winner of this contest. Good luck to everyone! Please review entry #97 . Thanks. Dear all, we just posted feedback on all submissions. Thank you and looking forward to seeing your new submissions. 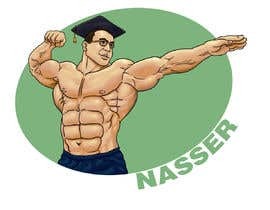 Dear CH, most drawings are generic free clip arts with no relation with ( RIP ) great Nasser Elsonbaty, be aware! The issue is already you have a freelancer matching the style you are looking for. Why a new contest looking for the same? They quit your project? Thanks and have a nice day! Thanks for the clarification. Mark M, sorry for the late response, but I think the CH clarified the doubt. 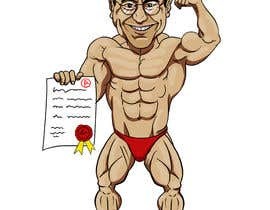 Some clarification, please: I'm a little confused about your intended use of "famous" body builders. You can't commercially use someone else's likeness in this kind of way without that individuals express permission. 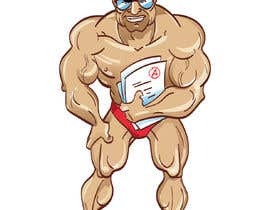 Yes, we can create an original, body building cartoon character for you - that is no problem at all, but using celebrity figures in this way for a proposed book can't be done without the individuals endorsement. Please - clarrify what it is you want here, simply. Hi, thank you for getting back to us and filling us in with the rest. From what you say, as far as this Contest goes - there really shouldn't be any problem. You're touching on stuff covered by public domain, this part of the job via Freelancer should be good. 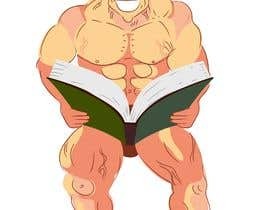 Your book however is a different story. A simple disclaimer isn't going to provide you with indemnity from prosecution from the representatives of whatever celebrities who's likeness you still intend to commercially use. They will go after you. It's their job and they are being retained for this reason, to protect their clients commercial usage. So, please – do be aware of that further down the line. As far as whatever arrangement you make with whichever artist you select that shouldn't form any impediment for them doing the work for you - providing that person doesn't in anyway way mislead you and tell you won't get sued proceeding the way you plan, because that would be very wrong of them. You do have to be aware of that. However, if you want to make the choice of ignoring legal advice, that's entirely your own choice. As long as you understand that and are advised, really nothing else anyone else can do. It shouldn't impede upon the commissioning of the work, assuming that remains your choice. 2. He included an interesting/creative twist on his drawing to make it appealing to kids&adults. 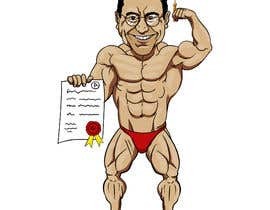 Hello how are you, the caricature is the same character? Hey Alexander! 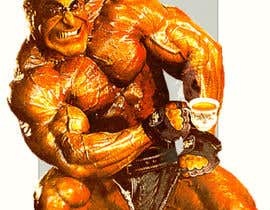 Yes this will be the same sample bodybuilder required in the previous contest. I've linked it above. I remember your entries, and you had good creative elements added into your drawing, but we need your actual drawing style to be less caricature like and more "superhero cartoon". Check out the winning entry of the previous contest ( #62 ) and I encourage you to submit a new entry for this contest. Looking forward to seeing it!